If you are looking to fully enjoy the incredible country of Germany for any extended period of time, then you will need to be able to drive in Germany. The country has some of the most beautiful scenery in the world, especially along its well kept road system. Speaking of that road system, it is also one of the best in the world, featuring the world famous Autobahn, but hardly ending there. The process to obtain the right to drive in Germany is not difficult, but it is precise, and there are some things that you definitely need to know about it. Do I already have the right to drive in Germany? You may actually already have the right to drive in Germany and not even know it. If you have a drivers license that was issued by a country that is currently within the European Union, then you automatically have the right to drive in Germany indefinitely. If your drivers license was issued by a country that is outside of the European Union, then you can legally drive in Germany for six months starting from the date of your arrival. This is especially important to know if you will be residing in Germany for. That is longer than six months. Germany does have special six-month extensions that you can place on your existing license if you have a license that is issued from a country outside of the European Union. You will not have to switch to a German driver’s license if you are able to obtain this extension. The only people who are legally required to switch to a German driver’s license is a resident of a non-European Union country who will be taking up residence in Germany for longer than one year. In order to switch the current drivers license for a German driver’s license, it may be necessary to take a written exam or a driving test. In some cases, both of these tests will be required. Canada and the United States have an expedited process with Germany for switching to a German driver’s license. All residents of Canada and certain residents of the United States do not have to go through the test portion of the license switching process – the license can simply be switched. The licenses that are eligible for this expedited process in the United States include licenses from the following states: Alabama, Arizona, Arkansas, Colorado, Delaware, Idaho, Illinois, Iowa, Kansas, Kentucky, Louisiana, Maryland, Massachusetts, Michigan, New Mexico, Ohio, Oklahoma, Pennsylvania, Puerto Rico, South Carolina, South Dakota, Texas, Utah, Virginia, Washington State, West Virginia, Wisconsin and Wyoming. Residents of the United States with a drivers license from Connecticut, Florida, Indiana, Minnesota, Mississippi, Missouri, Nebraska, North Carolina, Oregon, Tennessee or Washington D.C. will be required to take the written German test in order to obtain a German driver’s license. However, the driving test is not required in this situation. Even if you have your license from the states listed above, you will need to prove to German authorities that you have had this license for at least six months. Residence from any other state inside of the United States will be required to take both the written and the driving tests for obtaining a German driver’s license. However, this may not be true if you are an American who is residing in either Hamburg, Hesse, Saxony-Anhalt or Schleswig-Holstein and Saarland. 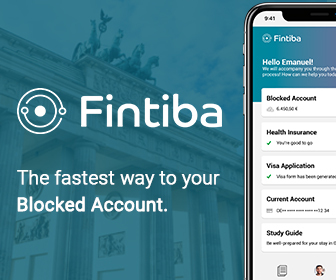 You should check with local authorities in order to understand the rules that may be in effect in these German states; they tend to change frequently and may or may not apply to your specific situation. Germany has a driving test that has been translated into most of the world’s major languages. Although you may be able to easily understand the questions, the content is actually quite difficult. 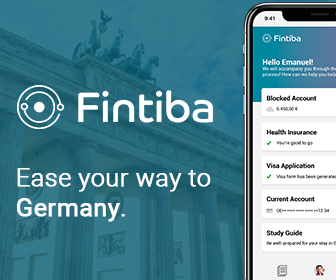 If you know that you will have to take the German driving test in order to obtain a drivers license in the country, it would probably benefit you to study. Currently, three out of every 10 people who take the German driving test they’ll it on the first try. The major resource that many people use to pass the German driving test is known as the “Lehrbuch Englisch” that is available for sale within the country for around €50. There are also copies of the book that are available online. The written test is multiple-choice; however, there may be more than one correct answer to each question. In some cases, all of the answers may be correct. German driving test courses come equipped with special cars that are known as “fahrschule” cars. These special cars come equipped with dual controls that allow the testing agent to override the actions of the student if the student ever gets into trouble on the road. Unlike driving tests in the United States, which are usually very short, German law dictates that a driving test to obtain a German driver’s license is quite lengthy by the same standard. A new driver in the country must have at least 225 minutes and 50 km per session if the test is taken on a country road or highway. The Autobahn must be driven for at least 135 minutes. If you happen to purchase your car in Germany, then you should have a document that is known as the “kraftfahrzeugbrief,” a proof of ownership that will follow your car throughout the entire process of purchase and into your vehicle registration process. This document will most likely originate from the car dealer with whom you purchase your vehicle, so if you are making the purchase of a car in Germany, ask the car dealer for it before you sign off on the final paperwork. In order to legally register your vehicle, it must pass a safety inspection. There is a national organization that is known as the “technischer uberwachungsverein” that is responsible for all vehicle safety inspections around the country. All cars that are purchased in Germany must be inspected at least once every two years. If you purchase your car completely new, then you are given a two-year grace period for the first cycle. It definitely pays to invest in the maintenance of your vehicle in Germany. The government keeps very strict regulations about the condition of cars and motorcycles in the country. When you go in to register your vehicle, it will be inspected quite thoroughly. Make sure that every aspect of your vehicle from your brakes and tires all the way to your windshield is as up-to-date and clean as it can be. Most vehicles fail German inspections because of rust around the vehicle and depreciation of the brakes, tires, exhaust or lights. Although there are different rules pertaining to each part of the car, in general, if an item is mounted on a car in Germany, that item must function thoroughly. Even items that are not necessarily essential to operation must in a serviceable condition. Vehicle insurance is the next component to ensure compliance with the German government in relation to driving within the country. Vehicle registration cannot be completed until car insurance is obtained. This insurance must include proof of third-party liability coverage for any damage to another person, property or vehicle. Unlike the United States, however, the German government does not require comprehensive or collision insurance. However, if you are making the purchase of a vehicle through a loan, you may be required to take on these insurances by the financial institution that is underwriting the vehicle. In terms of price, this can raise the monthly cost of any vehicles beyond the scope of the average person, so be sure that you incorporate the cost of the insurance into the monthly cash that you will be paying out on your vehicle in total. 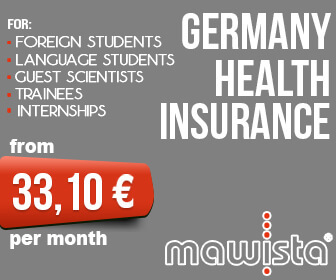 As in other countries, the price of German insurance is also influenced by the driving record of the individual who is seeking coverage. Drivers who have not had a great deal of experience on the road will also be charged more than experienced drivers will be charged. Additionally, if a driver is making a purchase of a more powerful vehicle, insurance will cost more in that case as well. The area in which the vehicle will be driven is also a concern: Anyone who is living in an urban area will pay more in insurance than a person living in a rural area. Finally, any driver that is been in an accident will pay more for insurance as well. There is some relief from all of the charges that an insurance company will pile on you: If you have a good driving record in your country of origin, you may be able to get credit for it in Germany. The way to prove this is through an official document from your insurance agent in your home country. However, be forewarned that there are some insurance providers in Germany that do not take this into consideration at all. If you run into one of these agents, keep going until you find a company that does take your good driving into consideration. Germany is well known for having highways with incredibly high speed limits, and even some thoroughfares with no speed limit at all. However, this should not that he driving laws in Germany are lax in any way. 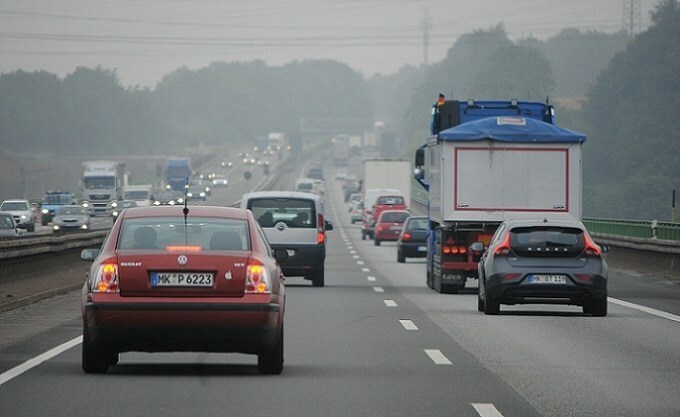 In fact, there are many sectors along the German highways that have strict speed limits. The speed limits are posted in a prominent fashion, and German police are on the lookout for tourists who do not follow the rules. There may even be speed limit postings in wide open spaces around the German highways. Because of the advanced surveillance that German police have, there does not need to be an officer on the scene in order for a driver to receive a ticket. In most cases around these wide open spaces, a speeder will be caught by a camera rather than by an officer on the scene. The ticket may not appear for three months, and the driver will not find out about it until he or she opens his mail to receive the surprise. There are special cases of highway noncompliance that can instantly cause your German drivers license to be suspended. If a driver exceed the speed limit by more than 30 km, that driver may lose the right to drive for up to three months. There may also be a fine incorporated into the punishment. It is never advisable to run a red light in Germany, even in the most rural areas. Cameras are set up in various locations to find people who run red lights, and the system is becoming more centralized by the day. A blinking yellow light that a driver must come to a complete stop at an intersection; this is different from many other first world countries. All German vehicles are also required to have seatbelts in the front and back seats of each vehicle. Anyone who is caught not using a seatbelt will have a fine issued on the spot. Children under 12 must ride in the backseat, and they must be transported in a car that is certified by the German government specifically. This usually does not include cars that do not come with backseat seatbelts. If the lights on your vehicle are in any way broken, you should try not to drive at night in Germany. It is strictly prohibited to drive with parking lights alone in the country. All cars driving in Germany must have a first aid kit as well as a portable red reflective triangle in the trunk of the car. If a car is stopped on a German highway, the triangle will immediately be placed behind the vehicle in order to warn oncoming drivers. There is also a specific length that the triangle must be placed behind the vehicle depending on the nature of the roadway. The rules about passing at intersections can be quite difficult to understand in Germany. This is usually one of the portions of the written test that many foreigners will fail. In most cases, drivers that are coming from the right have the right-of-way in Germany. However, this rule can be overridden by a diamond-shaped sign that details the priority roads at intersections. This sign should not be confused with the yield sign in Germany, which is an inverted triangle that has a white interior and a red border. Another sign to look out for is the “traffic calming zone” sign, featuring a walking person and a child kicking a ball. Germany has a computerized point system that punishes drunk drivers especially hard. Even when there are no posted speed limits, the nature of German traffic is one that requires defensive driving at all times. There is a great deal of commerce on German roads, and a driver can usually expect to find a mixture of fast-moving cars and slow moving trucks. Insurance companies retain the right to refuse payment on any insurance claim involving an accident on a German highway at speeds of over 130 km/h, even if there is no posted speed limit on that highway. German laws also crackdown on people who are driving under the influence of alcohol from previous encounters. Anyone who is driving in Germany is always subject to a blood test. In Germany, the blood-alcohol limit is 0.5 mg of alcohol per mm of blood. For an average sized man, this is only two small beers.